In its largest-ever investment outside India, Infosys Technologies, India's second-largest IT software provider, on Saturday said it would invest $125-150 million in setting up its own campus in Shanghai, China. 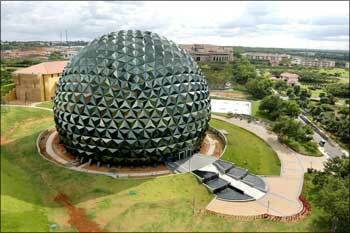 This is for the first time that Infosys has bought land to build its own campus outside India. 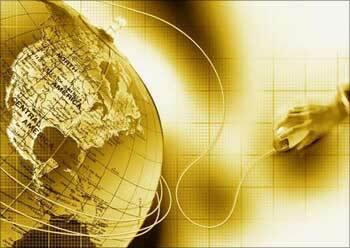 Most other global centres of the company operate out of rented or leased properties. The Shanghai campus will be spread over 15 acres and developed over a period of three years. Image: Shanghai campus will be spread over 15 acres. Located at Zizhu Science and Technology Park in Shanghai, the campus will have a sitting capacity of 8,000 employees with facilities for software development, labs, data centres, training facilities and food courts. Besides, the campus will have a 1,500-seater auditorium, a gym and recreational centres. Said to be the largest investment in China by a software company, Infosys' Shanghai campus will also be its largest overseas software development centre which adheres to highest environmental standards, according to a statement released by the company. "I would like to thank the Shanghai Municipal Government and the Chinese government for their support in starting this project. Image: Campus will have a capacity of 8,000 employees. As the second-largest economy in the world, China will lead the world in economic growth in the future and we see exciting times ahead. 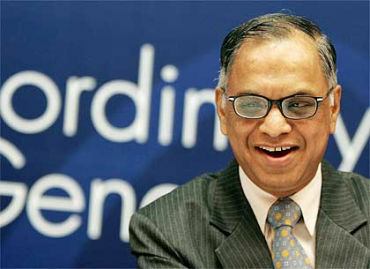 "This large investment is a testimony to Infosys' commitment to China," said NR Narayana Murthy, chairman and chief mentor of the Bangalore-headquartered company. He said the Shanghai campus will help Infosys in augmenting its capacity in China to deliver high-quality consulting and software services to the global as well as local clients. 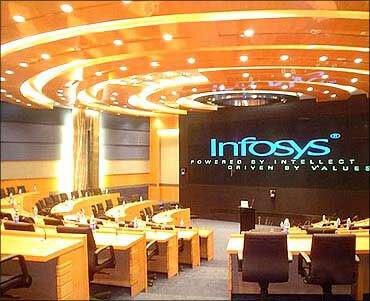 Incorporated in 2004, Infosys China employs over 3,300 people with about 95 per cent of them being local recruits. Image: Infosys China has over 3,300 employees. 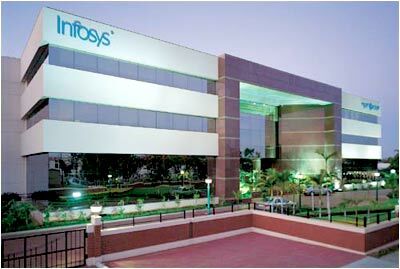 In 2011, Infosys China recorded revenues of $78 million. Even though Infosys is relatively late in establishing a presence in China, compared with TCS and Wipro, its China business has been growing at a healthy pace. 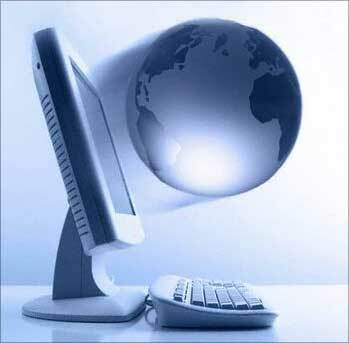 Infosys now services most of its global customers out of its three delivery locations in China. Besides, the company has bagged a couple of local contracts in the country, mostly in the banking space, according to highly placed sources in Infosys. The company has already invested $23 million in establishing centres in China, which are located in Shanghai Pudong Zhangjiang HiTech Park, Hangzhou Binjiang HiTech Park and Beijing China Oversea Plaza. These centres can accommodate around 4,200 people. Rangarajan Vellamore, head of Infosys Technologies' Chinese operations, said the company expected to employ over 10,000 employees in its Shanghai campus when completed. "We have been in China for the past seven years and have created a high quality capability to address the global and local markets. Image: Infosys has already invested $23 million in China. "With this large investment and enhanced capability, we will aim to lead service capability out of China to the global and local markets," he added. The domestic IT services market in China is estimated to be $20 billion, which is growing at a healthy pace of 50-60 per cent year on year. The local market is dominated by mostly global companies. Besides, Chinese software companies that are relatively smaller in size when compared to Indian counterparts are quite dominant in the local market. Image: Domestic market in China is estimated to be $20 billion. How the giant Airbus is made!